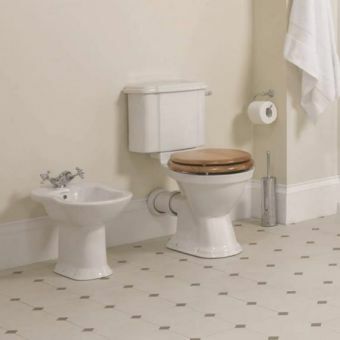 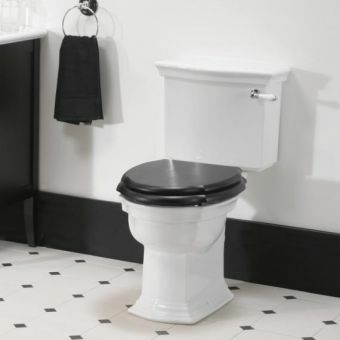 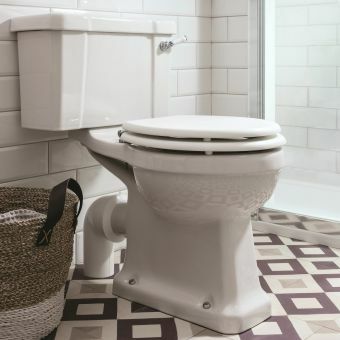 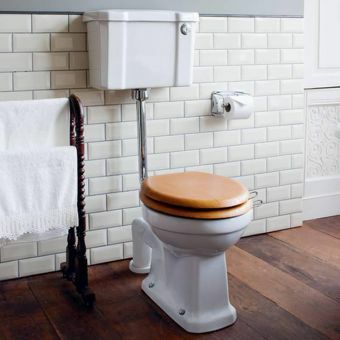 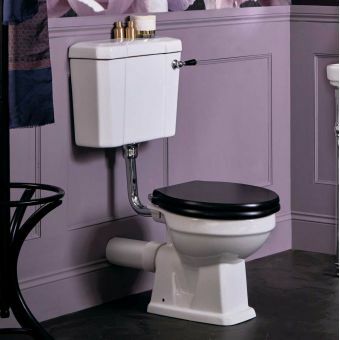 Burlington offer a slim line version of their classic close coupled toilet which is ideally suited to cloakrooms, ensuites or space saving bathroom layouts alike. 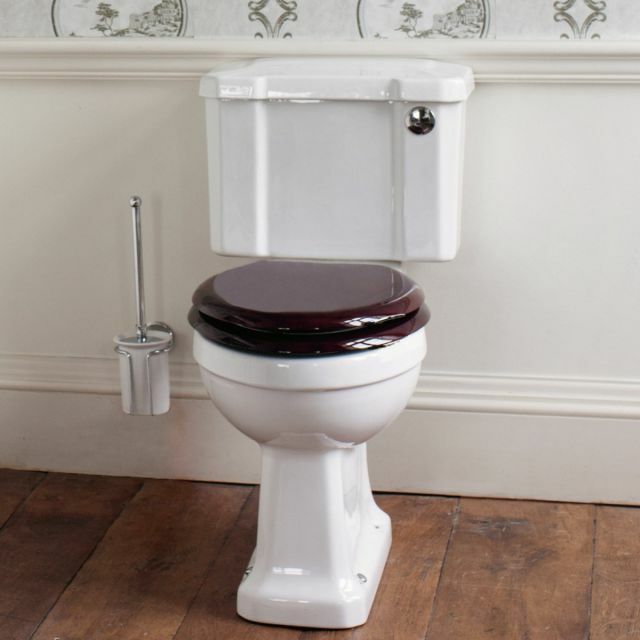 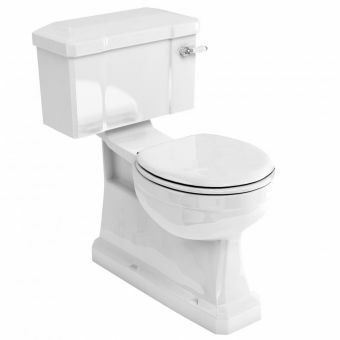 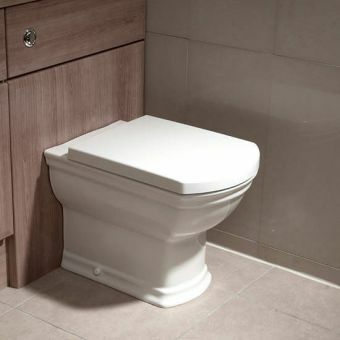 The cistern is slimmer than normal at 44cm wide, but still delivers a powerful standard flush. 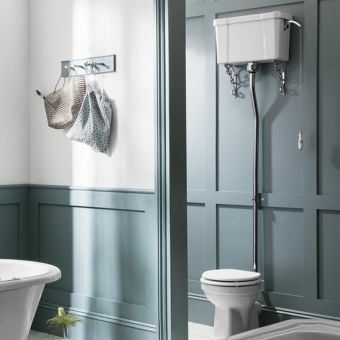 A chrome button or lever can be specified, push the right-handed lever down for a large 6-litre flush or up for the smaller 3-litre flush, which saves water! 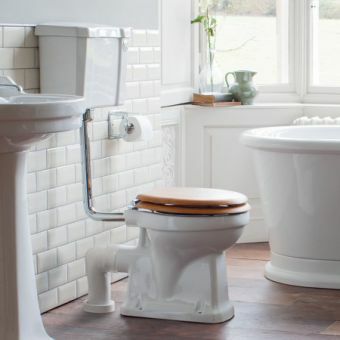 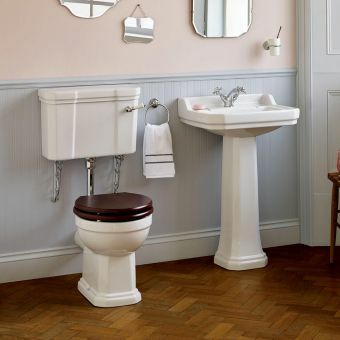 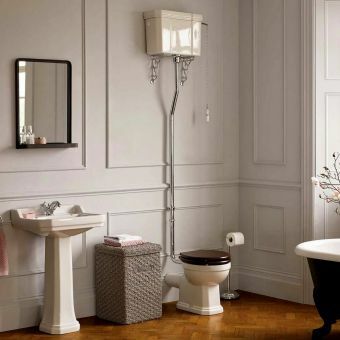 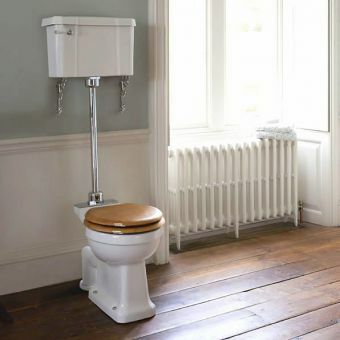 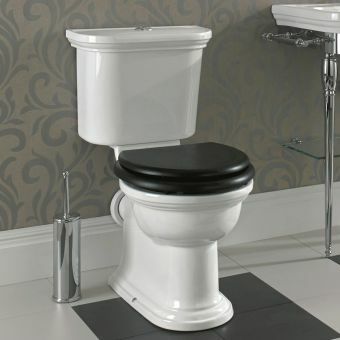 This slimmer cistern design allows Burlington’s classic period feature styling to be merged into any bathroom layout, opening up a wide range of traditional bathroom design options to everyone!